This chapter of Volume Four of LEGENDARY SURFERS is largely taken from Don James’ photo book Surfing San Onofre to Point Dume, 1936-42. Appreciations to Tom Adler and Craig Stecyk for permission to quote liberally from the book. 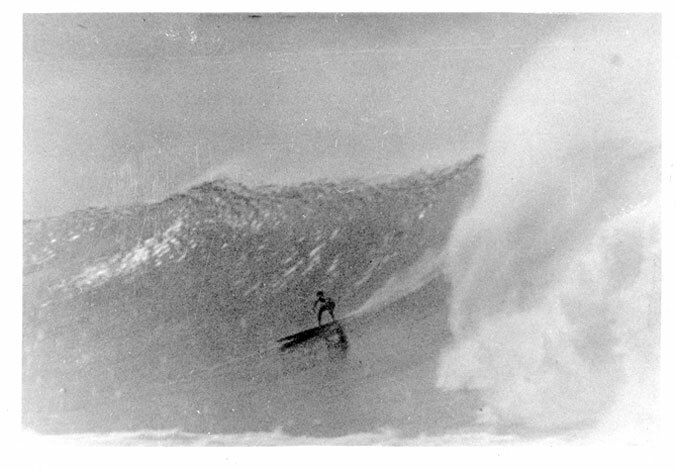 Don James was a California surfer who became a dentist and one of surfing’s earliest quality photographers. He was around early enough to have surfed with some of California’s surfing pioneers and was around long enough to shoot pictures of surfers and the surfing lifestyle throughout the 1940s. 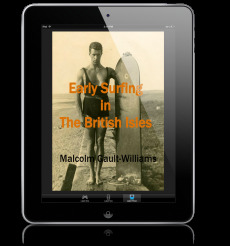 Significantly, he surfed in Southern California during World War II and told a lot about what those days were like for him personally, and for Southern California surfers in-general. Another friend who used to go with him to San Onofre was Chuck Eddy. For a time, circa 1938, Don was employed at the posh Bel Air Bay Club, where he often got burnt by the sun. “I got interested in becoming a dentist because of Dr. Barney Wilkes and Dr. John Heath Ball,” Don wrote. James, Don. Surfing San Onofre to Point Dume, 1936-1942: Photographs by Don James, ©1996 by Tom Adler. Introduction by C. R. Stecyk, p. 11. James, Don. Surfing San Onofre to Point Dume, 1936-1942, ©1996, p. 133. Don James written caption to image on p. 78. James, Surfing San Onofre to Point Dume, 1936-1942, ©1996, p. 133. Don James written caption to image on p. 78. James, Surfing San Onofre to Point Dume, 1936-1942,, ©1996 p. 10. James, Surfing San Onofre to Point Dume, 1936-1942, ©1996, p. 130. Don James written caption to image on p. 65. James, Surfing San Onofre to Point Dume, 1936-1942, ©1996, p. 123. Don James written caption to image of Pete and Cap Watkins on p. 30. James, Surfing San Onofre to Point Dume, 1936-1942, ©1996, p. 11. See also p. 122 and plate on p. 22. James, Surfing San Onofre to Point Dume, 1936-1942, ©1996, p. 13. James, Surfing San Onofre to Point Dume, 1936-1942, ©1996, p. 130. Don James written caption to image on p. 66. James, Surfing San Onofre to Point Dume, 1936-1942, ©1996, pp. 130-131. Don James written caption to image on p. 67. James, Surfing San Onofre to Point Dume, 1936-1942, ©1996, p. 122. Don James quoted. See plate on p. 23. James, Surfing San Onofre to Point Dume, 1936-1942, ©1996, p. 137. Don James written caption to image on p. 100. James, Surfing San Onofre to Point Dume, 1936-1942, ©1996, p. 138. Don James written caption to image on p. 105. James, Surfing San Onofre to Point Dume, 1936-1942, ©1996, pp. 135-136. Don James written caption to image on p. 93. James, Don. 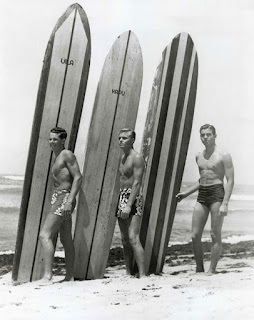 Surfing San Onofre to Point Dume, 1936-1942, ©1996, p. 140. Don James written caption to image on p. 115. James, Don. Surfing San Onofre to Point Dume, 1936-1942, ©1996, p. 140. Don James written caption to image on p. 114. James, Surfing San Onofre to Point Dume, 1936-1942, ©1996, p. 14. Don James quoted. James, Surfing San Onofre to Point Dume, 1936-1942, ©1996, p. 18. Don James quoted. James, Surfing San Onofre to Point Dume, 1936-1942, ©1996, pp. 18-19. Don James quoted. James, Surfing San Onofre to Point Dume, 1936-1942, ©1996, p. 138. Don James written caption to image on p. 107. James, Surfing San Onofre to Point Dume, 1936-1942, ©1996, p. 140. Don James written caption to image on p. 118, writing about 1943. James, Don. Surfing San Onofre to Point Dume, 1936-1942, ©1996, p. 139. Don James written caption to image on p. 113. James, Surfing San Onofre to Point Dume, 1936-1942, ©1996, p. 17. Don James quoted. James, Surfing San Onofre to Point Dume, 1936-1942, ©1996, p. 17. James, Surfing San Onofre to Point Dume, 1936-1942, ©1996, p. 19.